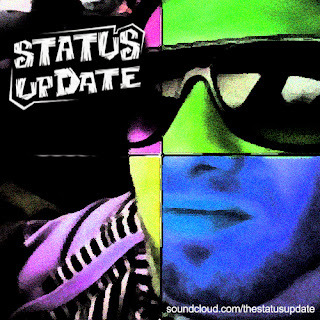 After more than a decade filling clubs, mixing the dirtiest of beats and charting with numerous dance club hits on Beatport, DJ & EDM producer Michael O'Howe is primed for his greatest success yet, with the release of his solo project “The Status Update.” The electro-charged project has already earned the Niagara Falls, Canada-based act the title of “EDM Artist of the Year” at the 2013 Niagara Music Awards. O’Howe’s record of success began as a DJ at the tender age of 17. Over the course of his career, he has been signed to numerous indie labels, played alongside A-level talent and achieved hits on the internationally acclaimed Beatport dance charts. In 2006, under his self-launched Electro/Techno imprint Don’t Look Productions, he first made noise by signing remixes by Toronto’s queen Sydney Blu and club legend Charles Feelgood. He also aligned with Carlo Lio’s legendary label Rawthentic Music by signing his first track to the growing Techno label. That same year, O’Howe’s Electro original “Sounds Like Music” hit No. 30 on the Beatport Top 100 Electro chart, followed in 2009 with remix of “Dr. Funkenstein” for label Play Digital by monster EDM act Deadmau5. His next effort was the launch of DJ and production company Unit 42, a collaboration with friend and fellow DJ Mark Grimace. The first release “Walking The Walk” returned O’Howe to the dance charts, along with a second remix from Charles Feelgood. In 2010, the firm released EP “Trade Deadline,” which reached No. 10 on the Beatport Techno chart. Follow-up full-length “Don’t Panic” achieved two more charted hits, including the title track again reaching No. 10. Unit 42 has also signed remixes to DBR, EDEN Recordings and originals to Restricted Recordings, which spawned dance smashes “Won’t Stop” and “Not Alone” still making waves in the Tech House / Techno pool. Stay tuned for more releases from inside the mind of Michael O’Howe AKA The Status Update, Like, Share, UPDATE YOUR STATUS WITH THE STATUS UPDATE!